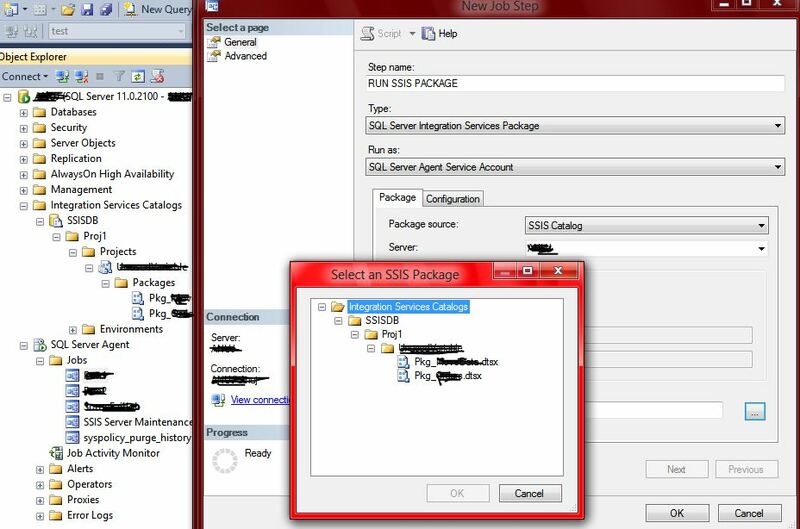 I am trying to run an SSIS package from SQL Server. I was able to successfully import the package and run it manually. I was also able to run it manually from the SSIS Catalog. Neither work from the agent job. Oddly enough, when I set package source to sql server, the package does not show even though it is listed in the MSDB folder. Account I am running the job from seems to have permission and I am running SSMS as admin. Not the answer you're looking for? Browse other questions tagged sql sql-server ssis permissions or ask your own question.